Hosted Graphite is growing. Join our team! Build exceptional products and solve real problems from day one. This is not a comfortable corporate environment, but then there aren't any TPS reports or middle managers either. You'll have a large amount of autonomy and will be working on real problems affecting our customers from the very first day. You can have a dramatic, satisfying impact on your career, our customers, the product and the company here. Our team is supportive and caring – we're interested in your career development and we want you to learn new skills. 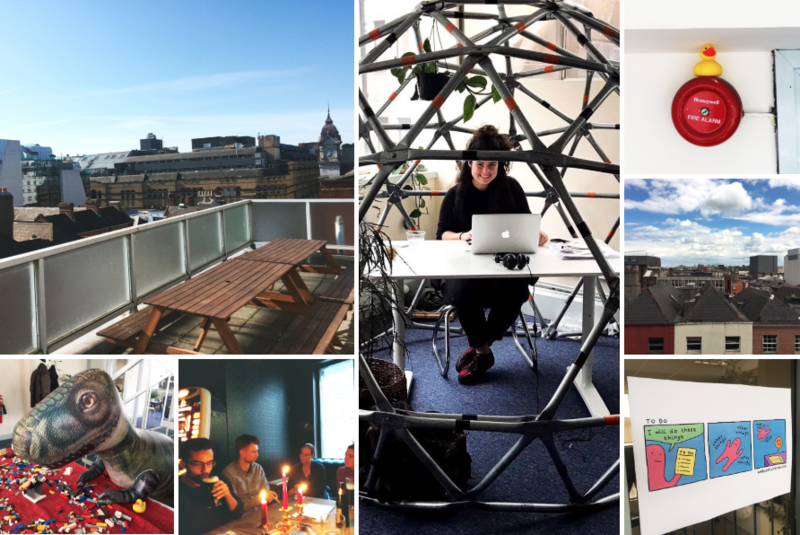 We’re a partially remote team but most of us work from the office on William Street South in Dublin 2. The office fills two floors, as well as a roof terrace with views over the city. Just around the corner are a huge selection of restaurants and shops. We like being in the centre of the city and have no plans to move. Flexible working hours with the opportunity to work from home regularly. 25 days paid holiday, with an extra day off after each on-call shift for SRE positions. Fully stocked kitchen, occasional meals and nights out with the team. We're open about how we do things and a lot of information is shared. You’ll be given the responsibility to tackle tough projects right from your first day. We're too small for that! We try to be a bit more caring and a bit less corporate. know when we're hiring again. We’re always happy to hear from talented people. Get in touch anyway and let's have a conversation. No ninjas, rockstars or brogrammers, please; just nice, caring humans. Hey, recruitment agencies! We don't work with recruitment agencies, so please don't contact us.